The vast majority of the hip, cool Silicon Valley-based startups have products that work decently well. 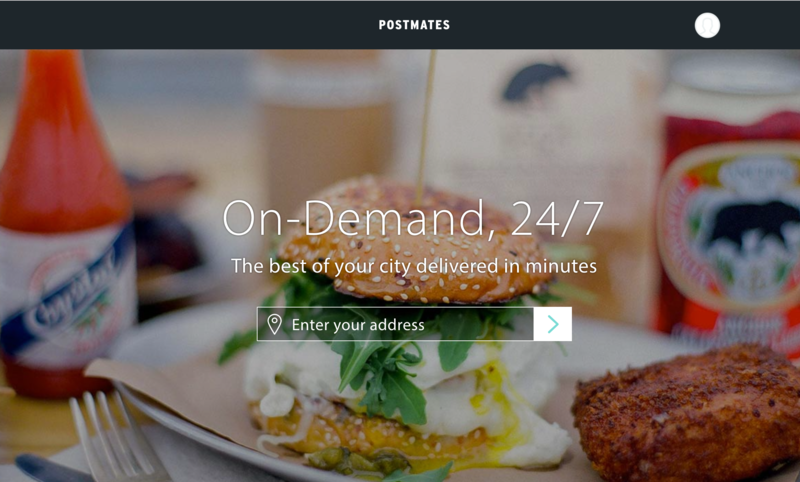 The one outlier in this category is Postmates. 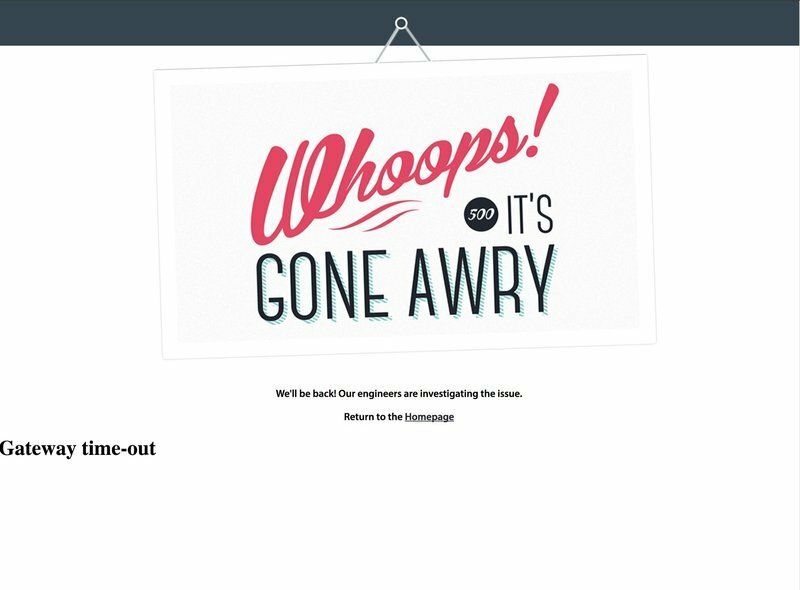 I have no idea what they're doing over there, but every time I try to use it - between errors, poor UX decisions and outright bugs - the whole experience is a disaster. And this is from a company that has raised over $326 million! 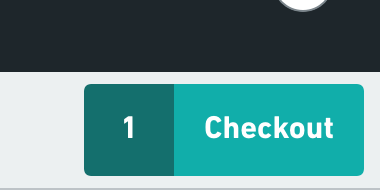 When I'm logged in and already have saved addresses in my account, make it easy for me to select an address instead of forcing me to type it again. Use Gravatar so my image shows up without me having to upload one. After entering my location, I searched for "pizza". It showed me 2 open locations. 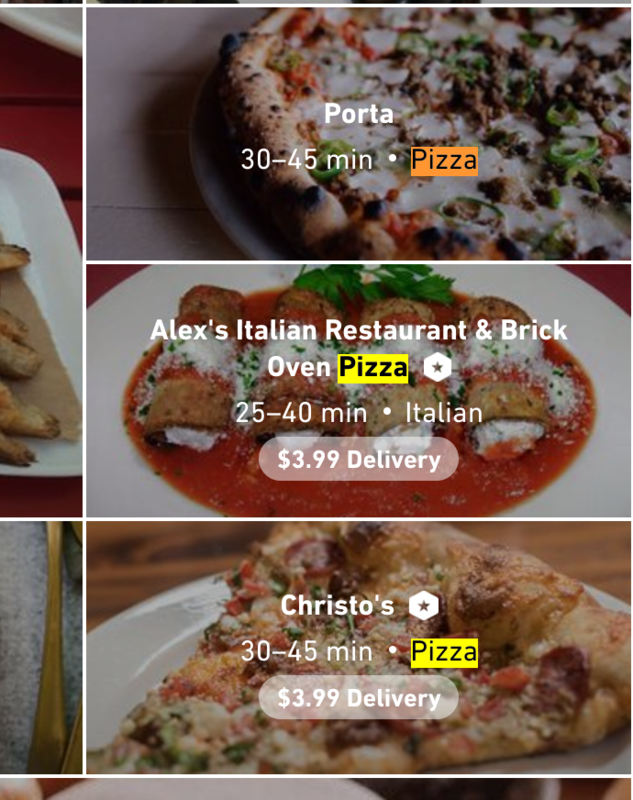 But an in-page search for "pizza" on the results page shows plenty of other places that didn't show up in search results. Why? After I couldn't find what I was looking for in search results, I clicked the logo to return to the results. Nope! Takes me back to the original homepage where I have to re-enter my address. It should just go to the previous results page now that you know my location! 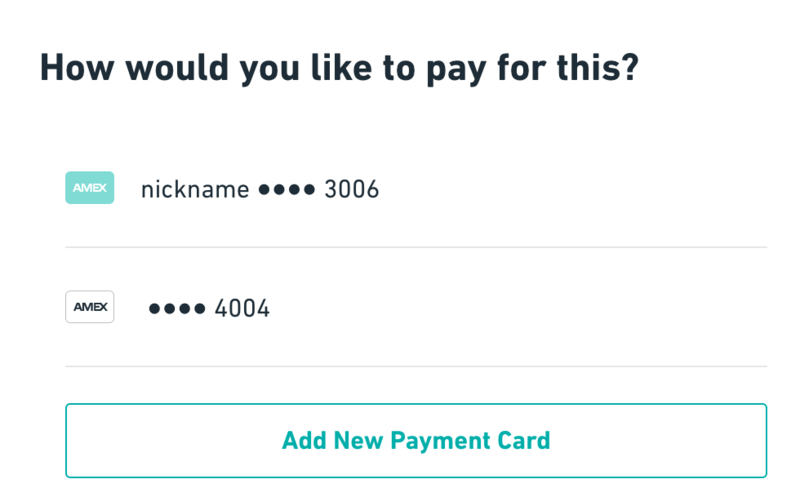 If I don't enter a credit card nickname, how about we not label it "nickname"? 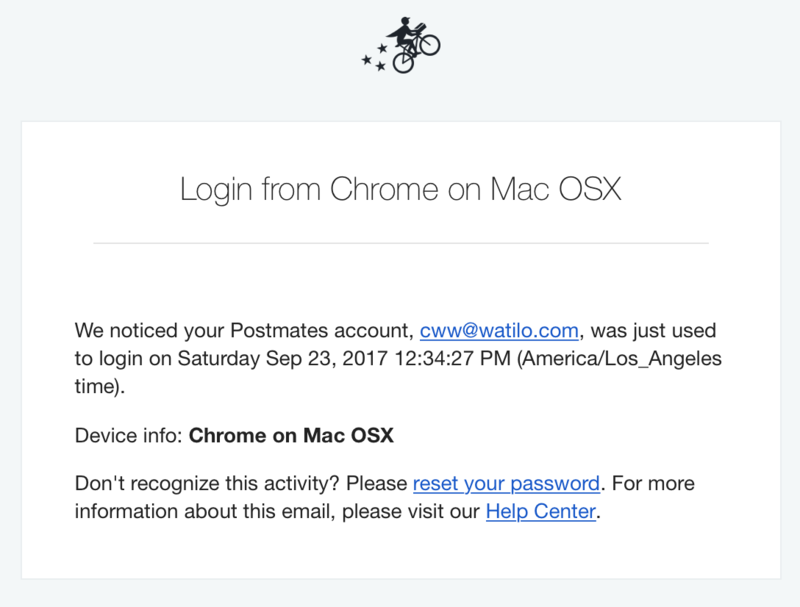 Why do I need to get an email alert after I login, especially if I've already ordered from the same location before? 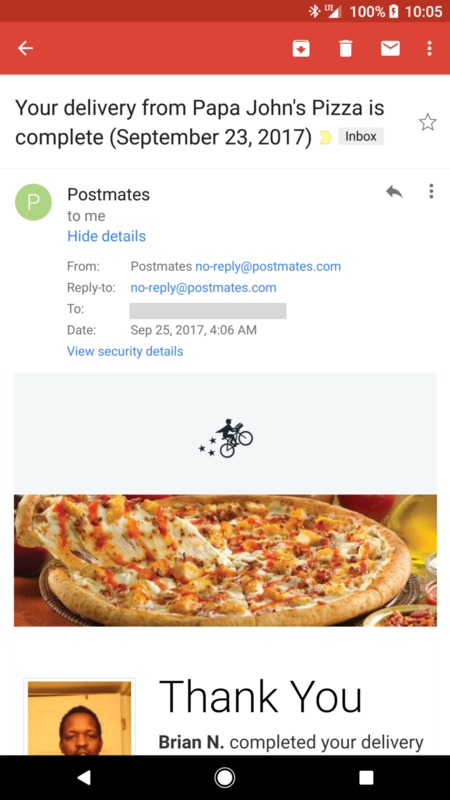 Save login email alerts for banking and important transactions, not for logging into my Postmates account. After hitting the Order button, why is there ever a case when you won't just place my order and take my money? (Also, no email ever comes through. I literally had to create another account to place an order.) 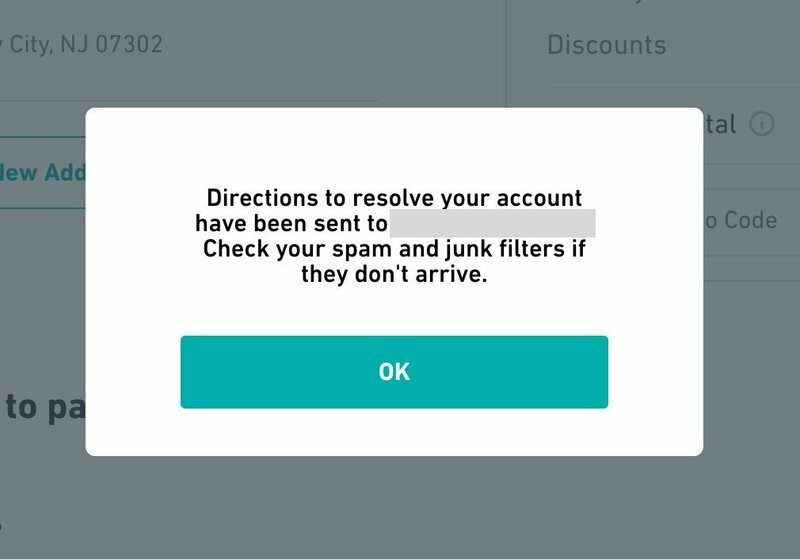 If there's an issue with my account, it should be explained loud and clear on every page to set my expectations, not once I try to place an order. In my opinion, it isn't obvious enough to the user where you explain you're placing a hold. This should be on the page, not in a hidden tooltip that I'm required to interact with. 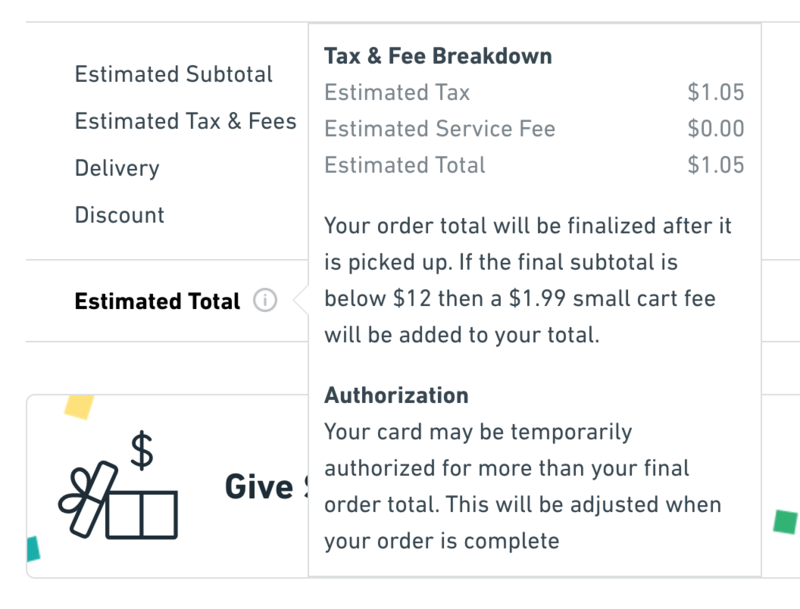 Also, the notion you're not just charging me the exact amount, and instead have to have an "estimated total", is just really strange. 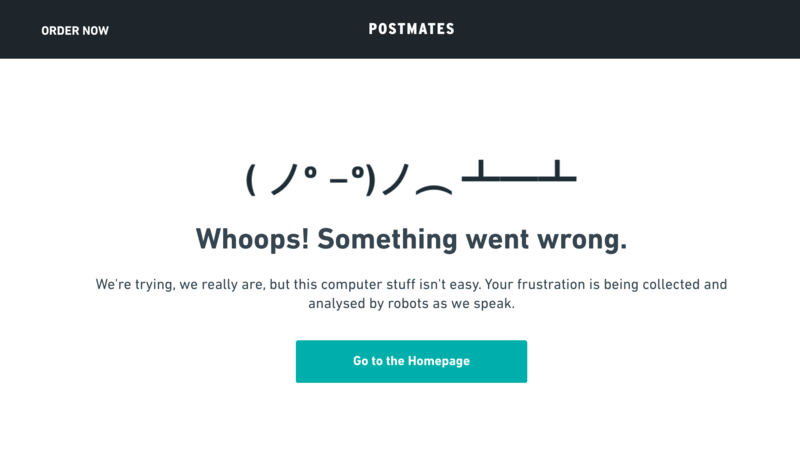 I think I've managed to see every single error page that Postmates has. 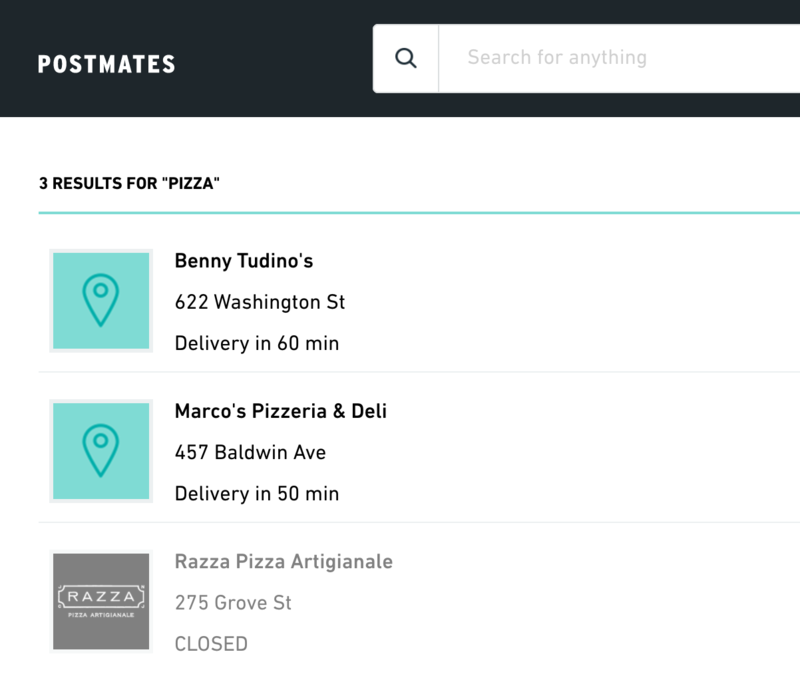 But this one in particular is really frustrating, because as many times as you click the "Go to the Homepage" button, it's never going to work because it links to order.postmates.com which consistently serves up this error, as opposed to going to postmates.com (the actual homepage), which I believe is the desired destination. (Looks like it could be a cookie issue now.) But this begs the question, why is the homepage not part of the app? That maybe explains why it doesn't populate my previous addresses, account avatar, or anything else it knows about me. If you're like me, you'll go to click on this. Except a pane opens on hover. But because I'm going to click, I inadvertently close the pane that just opened because there's no indication that this pane is going to do anything on its own. Doh! 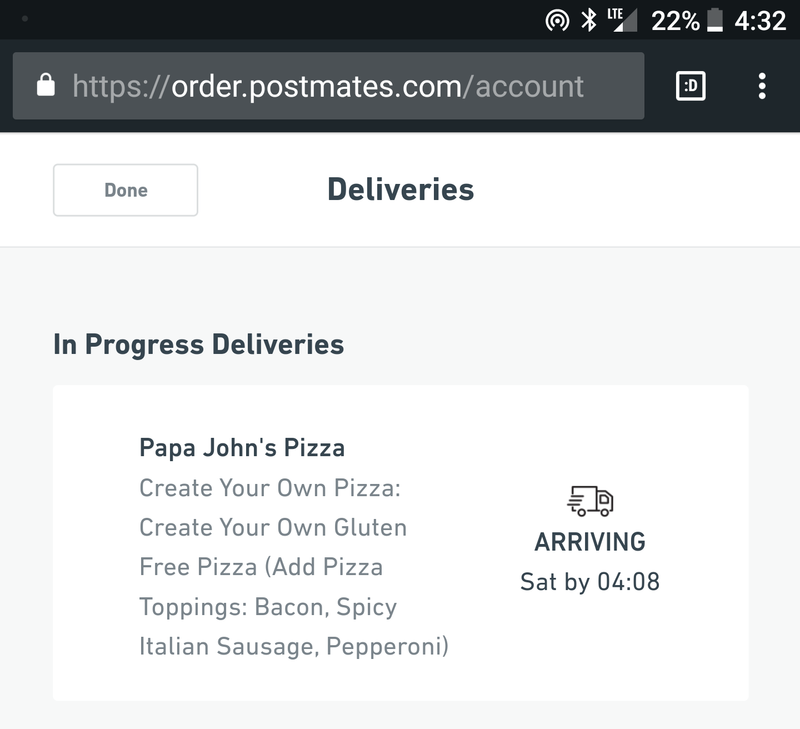 It lists the order time as the delivery time. 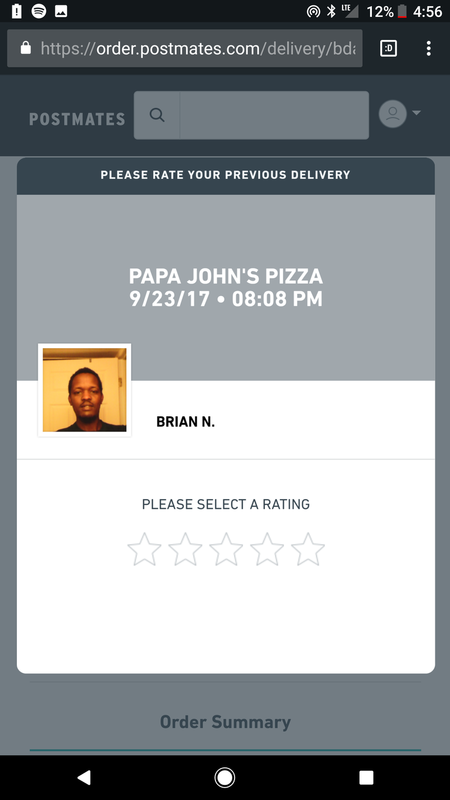 I ordered at 4:08. My "estimated total" was $16.29. But the site, post-order, says $13.13. Is this why the prices are "estimated" - because they'll appear different on every page? Different price for the same order? Huh? Email receipt delayed 2 days? I'm sure they'll call this intentional, because they have to resolve the hold and charge the correct amount, but sending a receipt 2 days later is still kinda laughable. But it's very jarring to wake up to this 2 days later and wonder if you accidentally ordered another pizza that's waiting outside your door for you once you crawl out of bed. 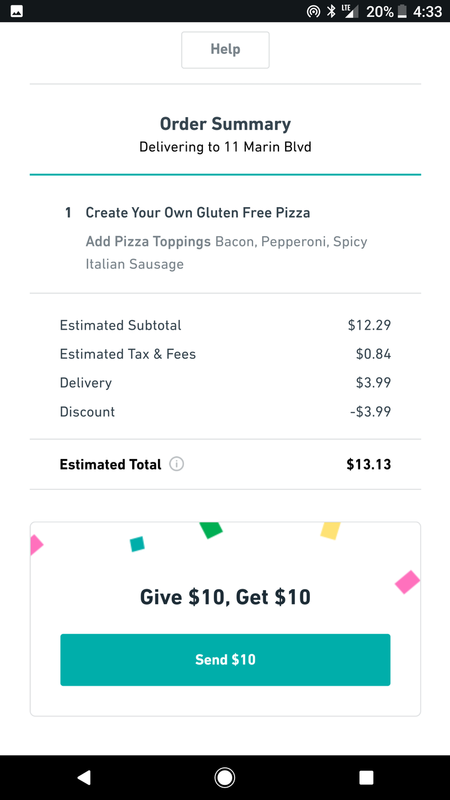 This screenshot was from the first time I tried to order from Postmates. 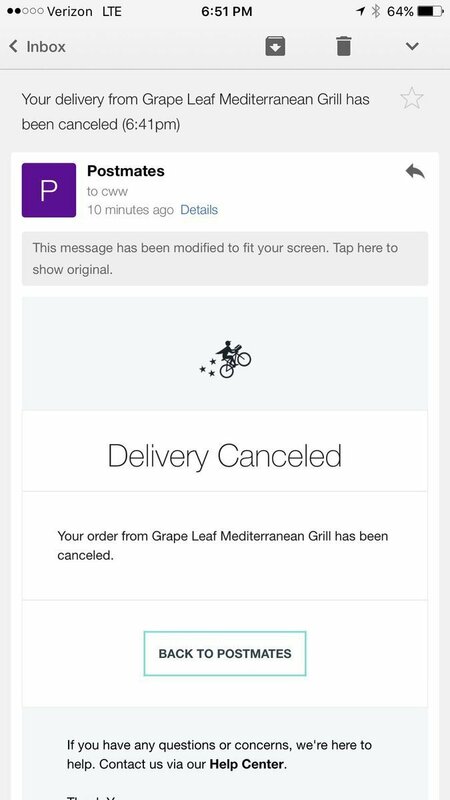 We were hanging out with friends, waiting for our food, until the estimated delivery time had passed. Checking my email, this is what I found. 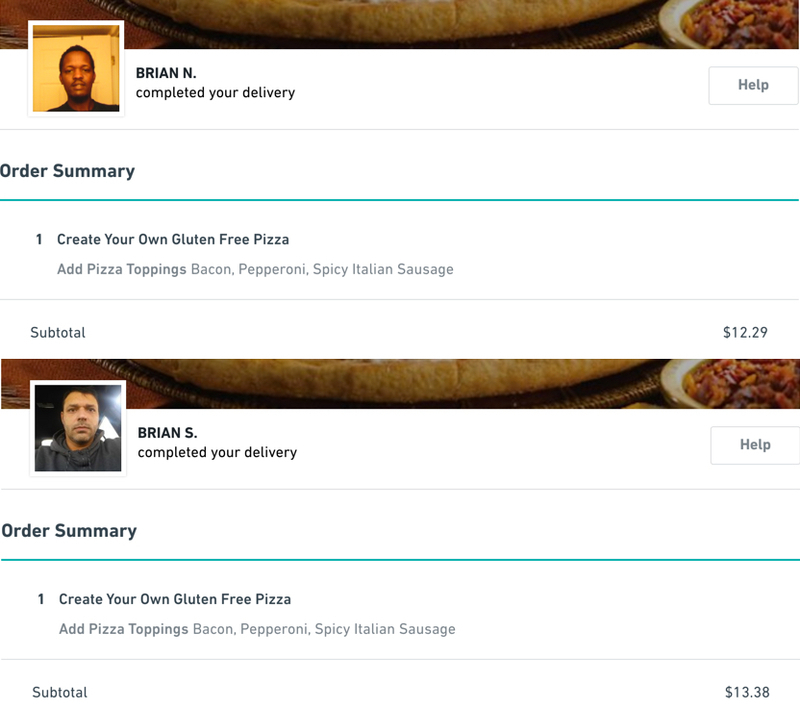 So I re-placed the order through Eat24 and planned to go pick that one up. 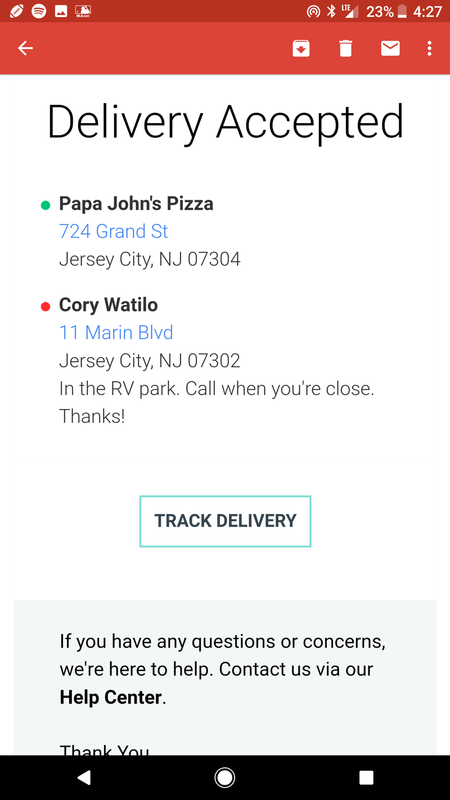 Turns out, despite Postmates cancelling the order, they failed to inform the merchant who had the food ready for us, so there was an entire meal wasted becaue I had placed a second order and Postmates didn't bother to contact the merchant nor me until well after the estimated delivery time. 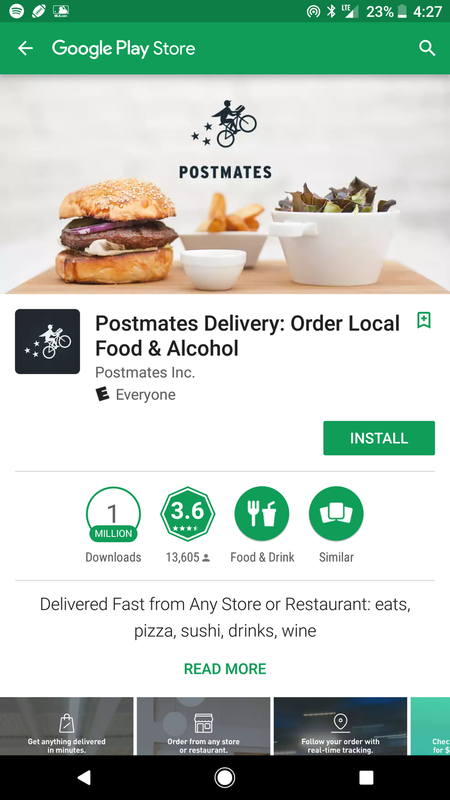 This is the summary of my 3 experiences with Postmates. Mind you, this wasn't even me going out of my way to find bugs. These simply came up in my own personal attempts to order. And I'm only one person; imagine what else the rest of the world sees! Love the concept, but come on, guys. This is embarrassing.